Columbia residents and visitors will enjoy a sort of dance between the sun, moon, and earth on August 21, 2017. This rare occurrence, of being in the solar eclipse path of totality, which occurs about every 375 years, has excited scientists to study and artists to create! 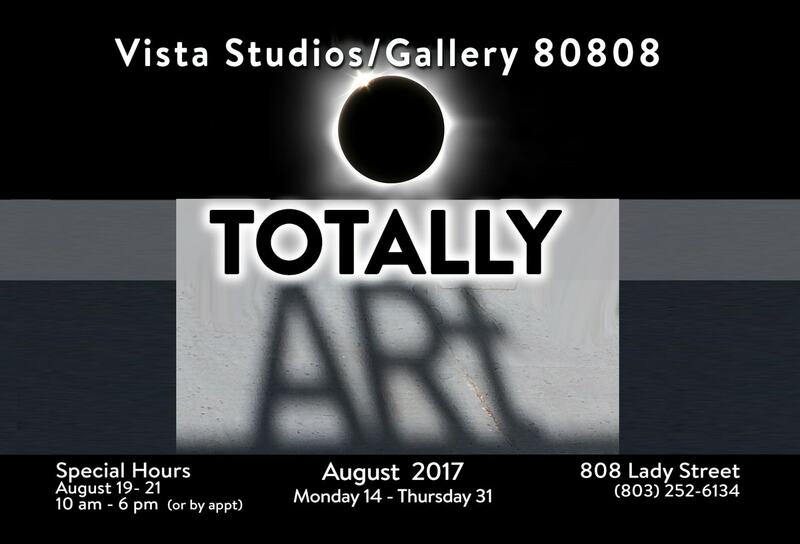 Vista Studios presents TOTALLY ARt, a special exhibit of eclipse inspired artwork from August 14th-31st, with special hours from 10am-6pm on the 19th-21st. The gallery is located at 808 Lady Street and open daily from 10-3pm or by appointment. For more information visit our website http://www.vistastudios80808.com or call 803-252-6134.